The Hatters got back to winning ways at Kenilworth Road, this Saturday, with a narrow victory over Bristol Rovers. The win lifts the Hatters to eleventh place in the League One table, just four points adrift of the play-off places. However, the victory was somewhat marred by a bad leg injury to Eunan O’Kane, our young midfielder on loan from Leeds United. Our best wishes go to the youngster for a speedy recovery. Luton had several chances to open the scoring in the first half, Matty Pearson could have done better with a sublime cross from Jorge Grant with his header going over the bar. As the Hatters tried to force the issue, Jack Bonham, in the Bristol Rovers goal, produced a good save to prevent Grant from scoring with a close-range header. Jack Stacey, pushing forward, saw the officials rule out a strike the home support thought had given them the lead before Bonham, once again, came to the rescue of Bristol Rovers by denying Elliot Lee. In fine form, Bonham also produced saves to deny Pelly Ruddock Mpanzu and Glen Rea. 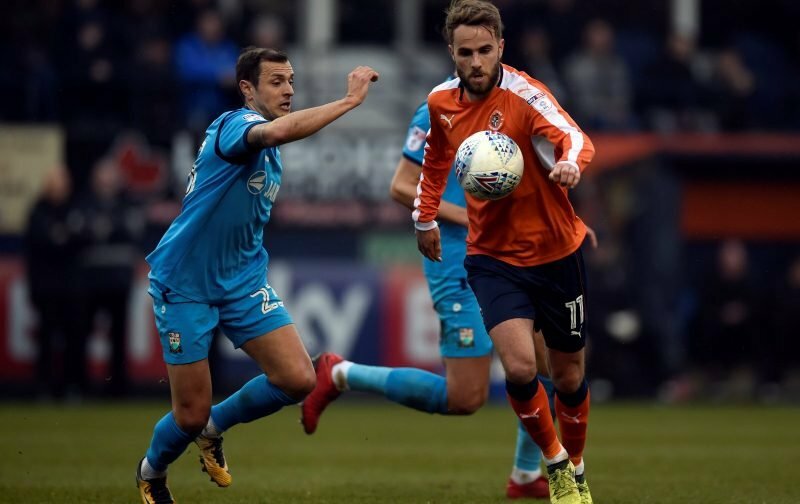 However, the deadlock was broken in the sixty-second minute when a free-kick wasn’t cleared properly and Andrew Shinnie was on hand to send a low shot past Bonham into the net. Luton went looking for the second goal that would secure the win but were, again, denied by Bonham, who produced two more saves to deny the lively Lee. Next up for the Hatters is a trip to Blackpool, next weekend.